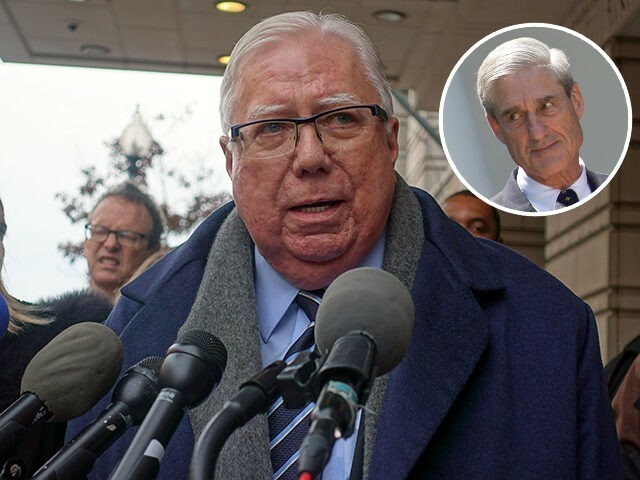 Former Infowars D.C. bureau chief Jerome Corsi Jerome Corsi said Monday that his stepson was subpoenaed to give grand jury testimony as part of special counsel Robert Mueller’s investigation into alleged collusion between the Trump campaign and Russia during the 2016 presidential election. Corsi’s attorney, David Gray, declined to comment on the matter when contacted by The Washington Post. Special counsel investigators are trying to determine whether Corsi and longtime political operative Roger Stone had advance knowledge of WikiLeaks’ plans to release hacked material damaging to Hillary Clinton’s presidential effort. U.S. intelligence agencies have said Russia was the source of that hacked material. Prosecutors from Mueller’s office had offered Corsi a deal to plead guilty to a false statements charge, but he said he rejected the offer because he didn’t knowingly mislead investigators. He now says he expects he will be indicted. “They can put me in prison the rest of my life. I am not going to sign a lie,” he told CNN. Last month, Corsi filed a complaint with the Justice Department, alleging prosecutors tried to coerce him to give false testimony. Filed by Freedom Watch founder Larry Klayman, the complaint requests that the Justice Department launch a criminal and ethics investigation into Mueller’s tactics. “Special Counsel Mueller and his prosecutorial staff should respectfully be removed from his office and their practice of the law and a new Special Counsel appointed who respects and will obey common and accepted norms of professional ethics and the law and who will promptly conclude the so-called Russian collusion investigation which had been illegally and criminally spinning out of control,” the complaint reads.